BIG NEWS! 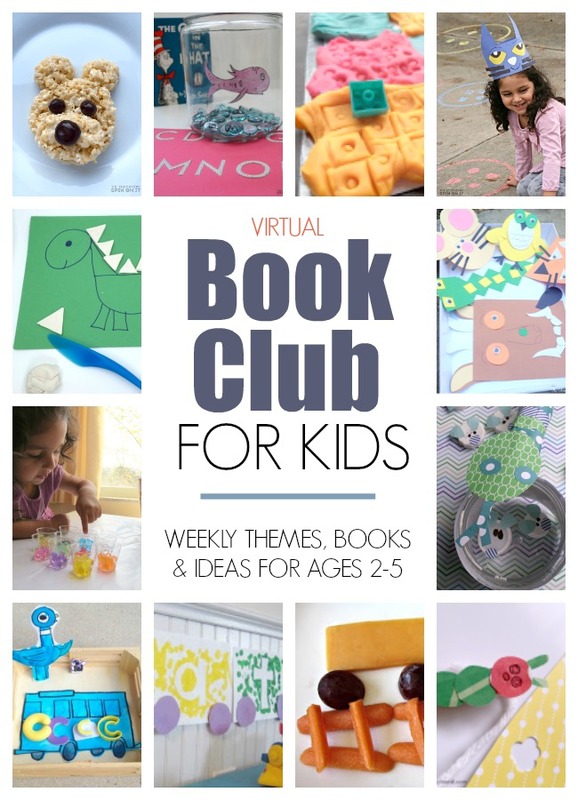 We’re now hosting a weekly virtual book club for kids for you to join! 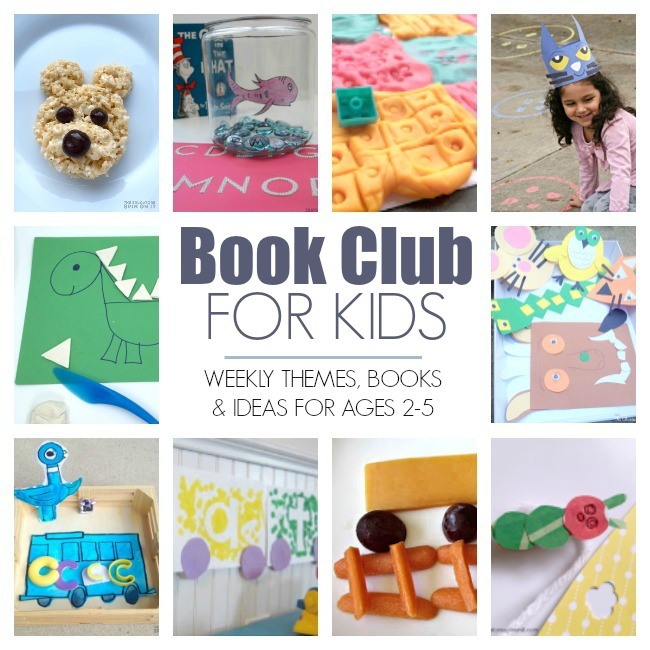 Looking for some book themed fun at home with the kids each week this school year? 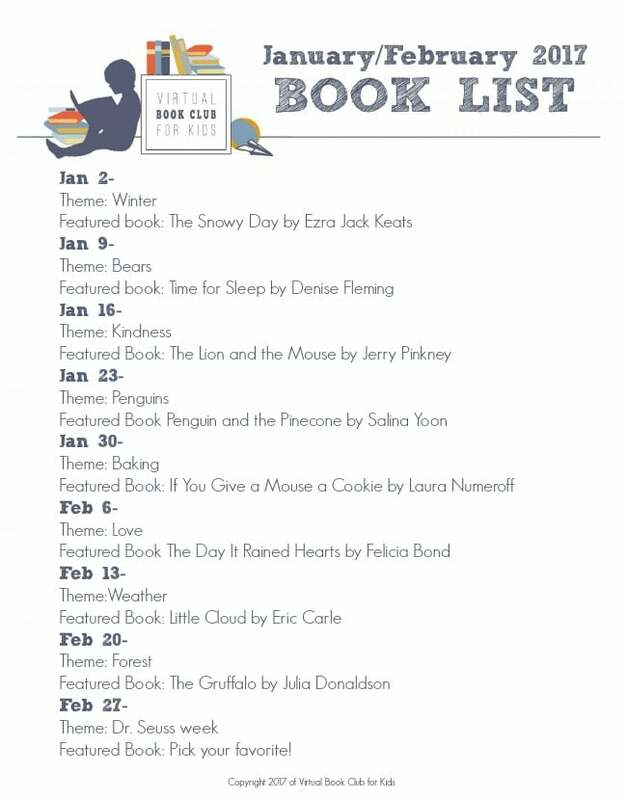 The Virtual Book Club for Kids is excited to announce that we’re changing our format to a weekly schedule this year. 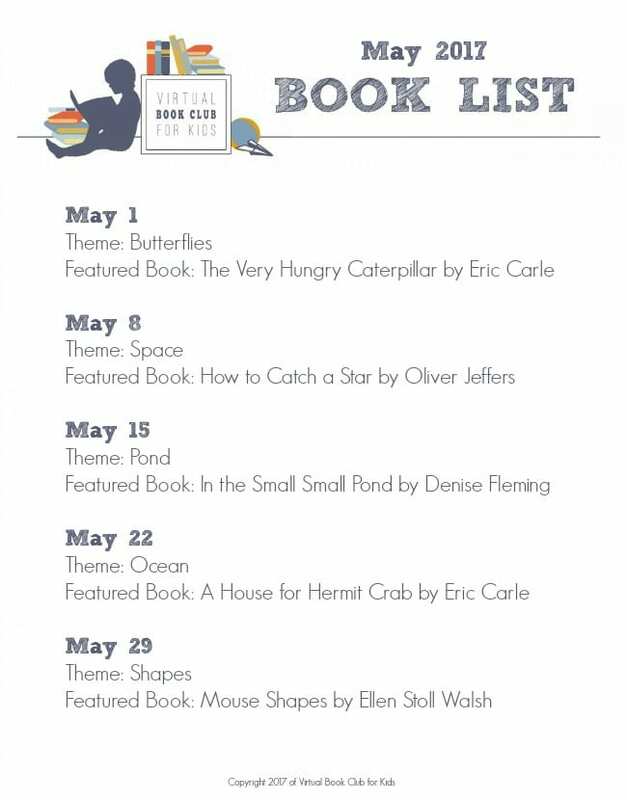 We’ll be sharing popular children’s picture books with you that includes book related activities for tons of FUN! Each MONDAY we’ll be sharing a featured book and a featured theme with book related activities for you to join along with. 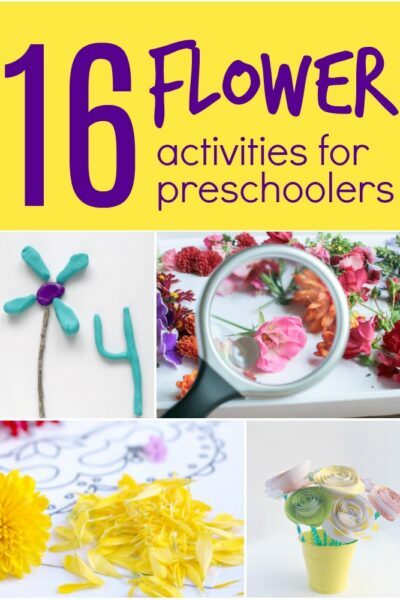 Our activities will focus on ages 2-5 to help you with your preschooler at home. 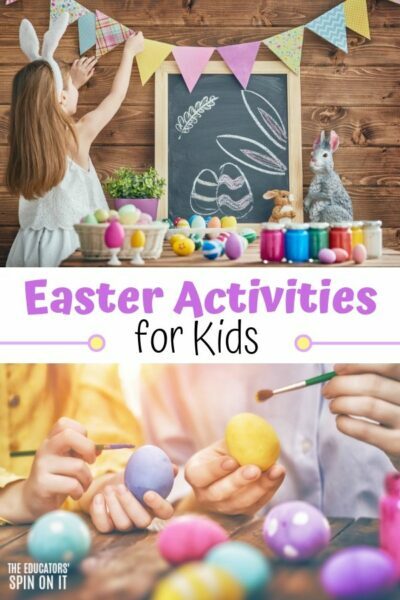 We’ll also add some ideas for the older kids as we know sibling activities can be a lot of fun too after school. Your organizers of the Virtual Book Club for Kids are Kristina from Toddler Approved, Cerys from Rainy Day Mum and Kim from The Educators’ Spin On It. 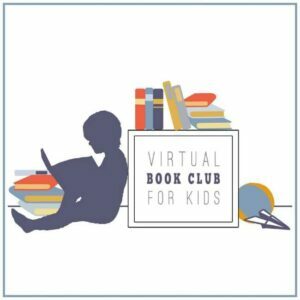 We’ve been hosting the Virtual Book Club for 4 years along with a VBC Summer Camp for a few years too. Trust me we Love books! We’re excited to be teaming up with many Virtual Book Club Cohosts to join us on their blogs sharing new ideas on Mondays too. 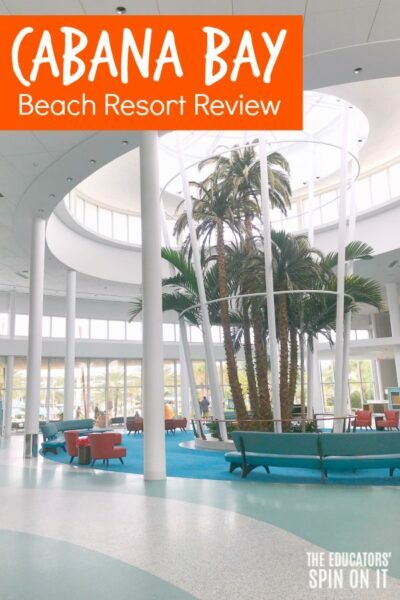 Can’t wait to share which bloggers are joining the FUN! 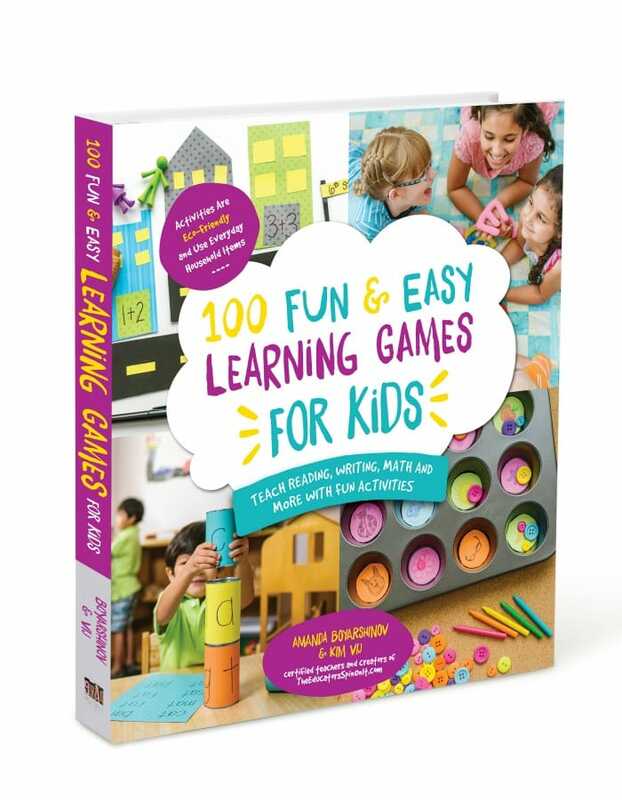 So much book focused content it’s going to be pretty amazing for you and your child! Best part is that it’s all free to join! 2017-2018 Book list is NOW AVAILABLE HERE! Your Organizers and CoHosts will be in the group sharing ideas each Monday to go along with the new book and new theme. 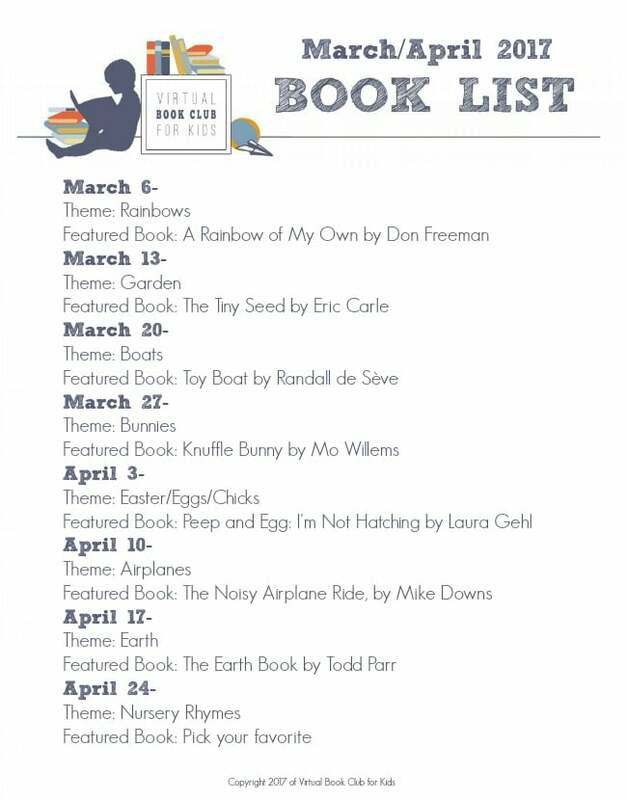 Plus a few additional book recommendations and we invite you to SHARE what you’re up to with your kids and books too! You’ll get exclusive access to our chosen books ahead of time too that we’ll be featuring each month! The group will be closed and ONLY members of the Facebook group can see what is posted in the group. 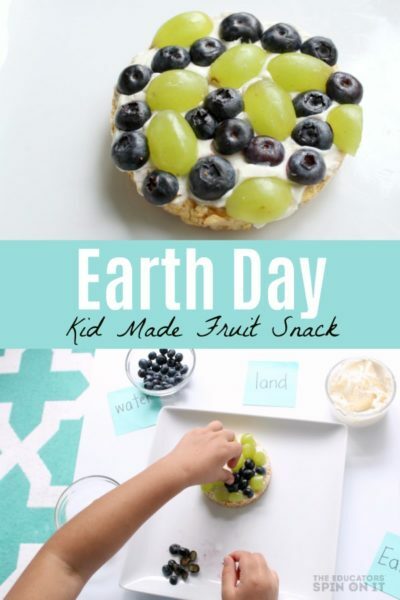 Be sure to visit our participating bloggers websites to see each book activity! 2017-2018 Book List AVAILABLE HERE! 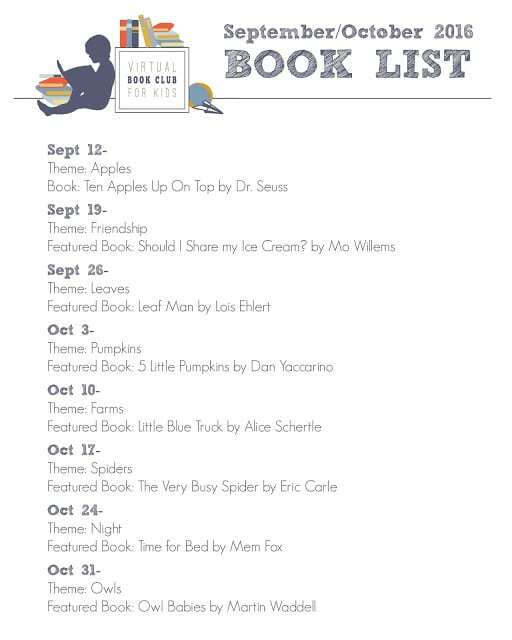 Each week starting on September 12th we will feature book inspired activities on our blogs on Mondays. Dr. Seuss week- Pick your favorite Dr. Seuss Book! 1. 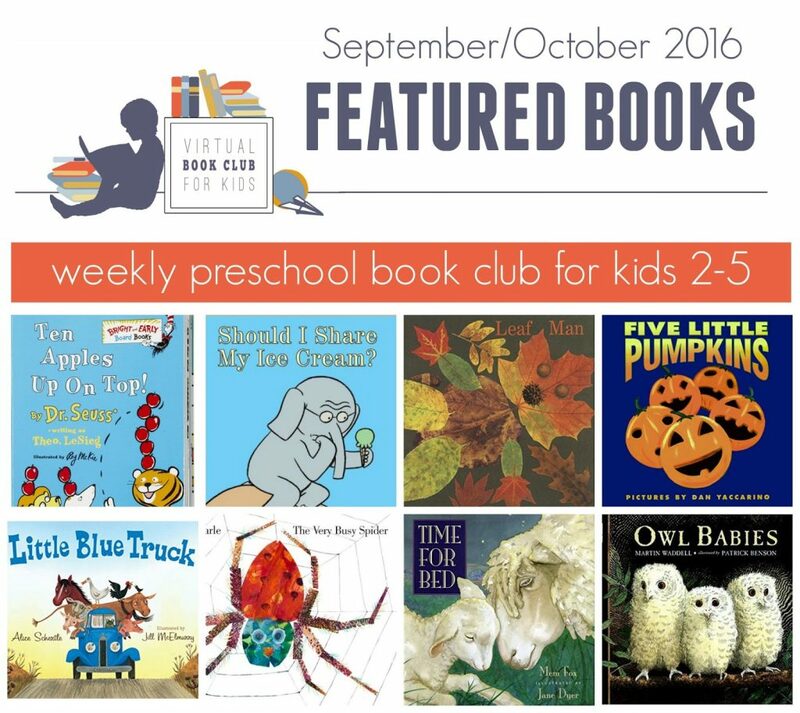 Start by locating the featured book for the week of September 12th and read it with your child sometime during that week! Leave a comment on this post committing to join for this month! Most of the books we are featuring can be found at your local library. I have provided Amazon Affiliate links for your ease as well if you want to purchase the books and add them to your home library. We will share our book lists with you now and then we’ll make sure you have the new list about a month ahead of time so you can plan (ie. you’ll get the November list at the beginning of October). We’ll be sharing additional books based on the weekly theme in our Facebook group. 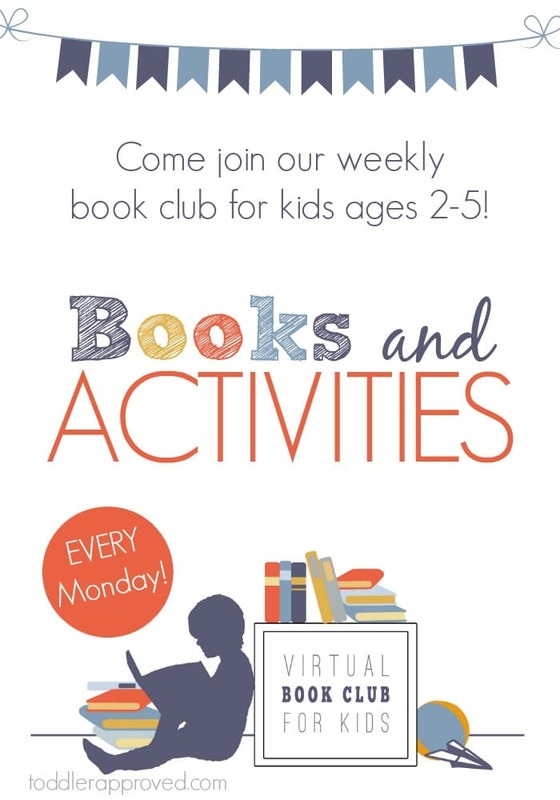 We will be sharing all of the featured activities over in our Weekly Virtual Book Club for Kids Facebook group so that they are easy for you to find. If you haven’t joined our Facebook group yet you might want to go do it so that you won’t miss anything. I will also be linking to each activity on my weekly Monday blog post. 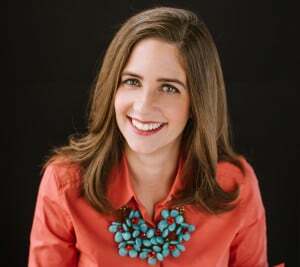 Find more details about creating a Mommy and Me Book Club HERE. I want to join! I requested to join the fb group. Is that all I need to do? Hi I would like to join the book club. Thanks! 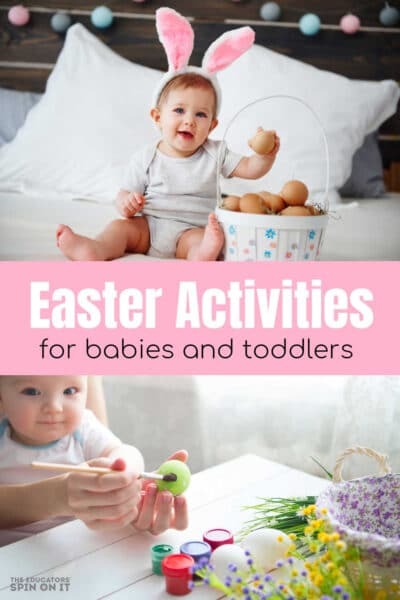 I am having so much fun doing this each week with my almost 3 year old! We also have a mommy and me book club we are doing monthly. Thank you so much for all of your hard work creating this! We love it! What are you doing for the mommy and me bookclub? 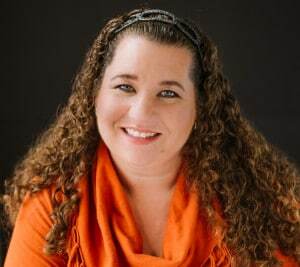 Just found about the Virtual Book Club. Thinking about doing it with my 3 year old daughter. I want to do school with her at home before she goes to preschool but it hasn’t been a success. I thought what if I did a book a week for the next year before she goes to preschool? I think that would be fun learning! 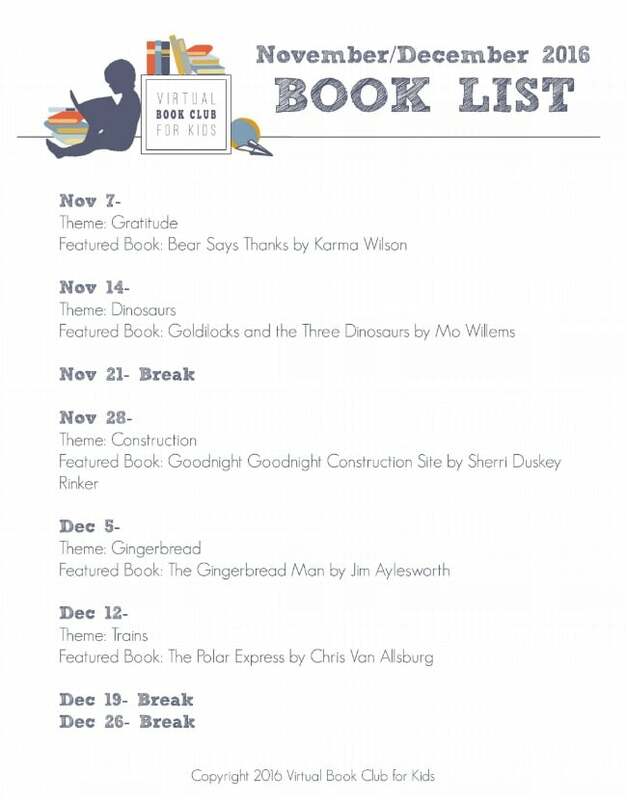 The Nov/Dec book list is the Oct/Sept book list when you click on it. Can that be fixed so I can print out the Nov/Dec book list please? Thank you so much!